If you have suffered a Personal Injury in Bay County, FL, you have come to the right place. Although Bay County, Florida is home to some of the most beautiful beaches in all of Florida, unfortunately, there are also many tragic incidences that occur in the area. Our Personal Injury Attorneys have been serving all of Northwest Florida for over 30 years. The US Federal government has designated Panama City, Lynn Haven, and Panama City Beach as the metropolitan statistical area’s principal cities. This action was done in 1981. 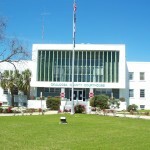 However, Lynn Haven, Florida, joined as a principal city in 2003. 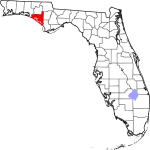 The 2000 census found that roughly 150,000 people lived in Panama City, FL. Bay County is a beautiful place, but that doesn’t mean it is exempt from terrible personal injuries that will unfortunately result in lawsuits. 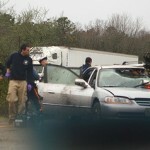 The Lawyers of the Bruner Law Firm are ready to help and protect the injured. Available by phone at or email at any time, don’t hesitate to give us a call. Filing a lawsuit is not itself a very difficult process. However, there are many questions that must be answered before filing a lawsuit. One of the first questions is whether or not it is necessary under the specific circumstances of your case? For instance, in many personal injury cases, the parties are very cooperative and the the insurer will pay the amount owed. However, when negotiating with an insurance company, they always keeping their best interests at hand. 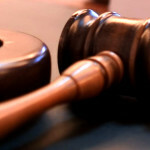 Which, in many cases, means filing a lawsuit will be necessary in order to obtain a fair result. In most personal injury cases, (i.e. car, motorcycle, and boating accidents) the negligence standard applies. Before filing a lawsuit, lawyers must be careful to analyze whether or not they have a meritorious cause of action. 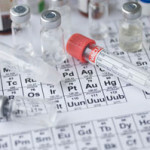 In most personal injury claims, this means that the attorney must believe it it likely they will be able to put on evidence to prove each individual element of a negligence claim beyond a “roughly 50%” standard. Then, if all attempt at negotiation and good faith efforts to resolve a dispute have been made, it is probable time to begin filing a lawsuit. Filing a lawsuit is often necessary to preserve a statute of limitations. When this happens, lawyers will weight the concerns of negotiating against the huge need to retain the ability to file a lawsuit at all. In most any tort action, a statute of limitations will affect the filing of a type of claim. If you have been injured, please contact our Personal Injury Law Firm today (850) 243-2222. There is a better than 50% chance you personally know someone who has been injured in a car wreck in the last year. After a car accident, car accident victims are usually focused on their car damage, getting back to work, dealing with the insurance company, continuing to provide for their families… everything except their own health. A lot of the times people involved in car wrecks will try to downplay the seriousness of their injuries. However this is almost always a major mistake. Injuries of the neck, back, and spine can often change one’s life forever. Obtaining medical care immediately and speaking with an experienced personal injury attorney can help relive you of expenses, pain, and suffering often associated with car wrecks. 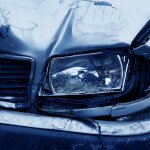 If you know someone who has been in a car accident or sustained a car accident injury, contact an automobile accident lawyer now at the law office of the Bruner Firm. We provide legal help for car accident victims, car wrecks and other motor vehicle accidents involved in Panama City, Destin, Crestview, Fort Walton Beach, Defuniak Springs, Baker… Basically anywhere in north Florida. Call us today at 850.243.4227 or 1-800-BRUNER-1. You may be in pain after an car accident. You may also have some obvious scarring and physical signs of injury. However you may also have latent injuries… the kind of bodily injury that occurs and worsens sometime after the impact. Car accident injuries may take months or longer before you feel them — this is why it is so important to receive medical and legal help right away after any serious car accident. If you have been in a car accident, contact an car accident lawyer even if you aren’t sure about your injuries. It’s best to speak with a qualified personal injury lawyer whose expertise can help you understand the important decisions you will be forced to make following car accidents. Car accident pain and injury may not reveal itself right away. It’s very important to protect yourself from future expenses related to the car accident by getting care and attention right away. Suffice it to say, car accidents are not something to take lightly. Contact an automobile accident lawyer after a car accident, even if you have no symptoms. You may have accident injuries that you cannot yet detect. Get a thorough evaluation from medical professionals after any motor vehicle accident and consult with an auto accident lawyer. Together, your medical and legal team will help you navigate the questions you have after a car accident. After a serious car accident when another person caused the accident, if you need help achieving a car accident settlement, you want a trial lawyer who knows car accident cases inside and out. The Bruner Firm has been winning car accident cases for over 30 years. Contact the Law Office of Vince Bruner at the Bruner Law Firm to speak to an automobile accident lawyer who can answer your questions about car accidents, a car accident injury, compensation to cover expenses related to a car accident injury, and other questions about car accident lawsuits. As recently as August of this year, a Wisconsin teen was named the fastest texter in the United States. Austin Wierschke of Rhinelander, Wisconsin was able to outpace the competition in a number of tests that measured speed, accuracy, and dexterity. Technology had invaded every aspect of our society. Sparse is the place where you don’t see someone in front of their screen, intently focused on whatever app, text, or website happens to be of importance at the moment. Its not just limited to texting and driving. Any time you use your phone, tablet, or handheld device while driving, you’re diverting your attention from the roadway. Like driving under the influence of alcohol, your reactions are slowed, judgement is skewed, and responses are delayed. In fact, if you’re text while driving, the chances of a wreck increases 23 times. On average, reading or sending a text diverts the driver’s eyes from the road for an average of 4.6 seconds; nearly the same as distance as driving the length of a football field at 55 mph. In 2006, a survey of almost 1,000 teenagers showed that 37% of students found texting to be “very” or “extremely” distracting. A study by the American Automobile Association found 46% of teens said they were distracted behind the wheel of a car because of texting. This is especially alarming because 40% of teens say they have been in a car when the driver used a cell phone in a way that put people in danger. There is little debate that texting and driving is dangerous. It is especially dangerous for our youngest drivers who will not be able to put down their electronic devices for just few minutes each day. 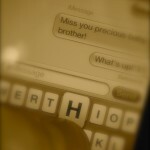 If you, your spouse, or someone you love has been injured because of texting and driving, call us today. Our Fort Walton Beach Lawyer or Panama City Lawyer today. We have extensive experience in handling automobile accident lawyer and staff will work our hardest to help you obtain the justice you deserve. Cars. There’s nothing really more American than the automobile. They’ve impacted nearly every aspect of our society. From the layout of our cities and towns, to our lives as adolescent youths, few things have escaped the influence of the automobile. Although automobiles have served to improve society in a countless number of ways, one problem that has plagued their existence since day one has been safety. Injuries from a car wreck can be life changing. You don’t have to go it alone. Contact an Panama City personal injury attorney today to learn more about your rights. Call the Bruner Firm at 1.800.Bruner.1. With offices in Panama City and Fort Walton Beach Florida, we can help. Every day someone is hospitalized due to an injury caused by some sort of tool. Weather it be something as simple as a hammer and nails to a skill saw, high-powered and high performing tools have led to some fairly catastrophic and debilitating injuries. When the manufactures of various tools design, construct, and market such devices, they are held to a very high standard of care. A lawyer can help you determining if a manufacturer breached their duty to make a product reasonably safe. 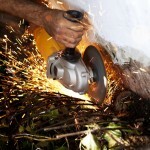 How common are hand and power tool injuries? Electrical appliances and hazards also pose a substantial risk for injuries that happen on the job. 6% of all workplace fatalities (places employing 11+ people) are the result of electrocutions. All it take is one-tenth of an amp of electricity passing through the body for two seconds to kill. If you or someone you love has been harmed on the job while using a machine, power tool, or some sort of electrical device, you may need legal help. At the Bruner Firm we have dealt extensively with workplace injuries and other personal injuries in the past. Our Panama City Lawyer / Fort Walton Beach Lawyer is ready to help you obtain the compensation you may need and deserve. Medical bills can sink a family. Call us today at (850) 243-2222 or fill out our contact form. If you find yourself saying, “I need a lawyer in Fort Walton Beach” call us today. We can help. “The Most Dangerous Power Tools,” Forbes.com, December 2009.